Whatever they’re doing to fix the Santa Anita racetrack, it does not appear to be completely working. Arms Runner, a five-year-old gelding, had to be put down Sunday after severely injuring his front right leg in a fall on Santa Anita’s turf track, according to the Los Angeles Times. He is the 23rd horse to die at the racetrack since the start of the season on Dec. 26, 2018, a span of 95 days. For reference, 44 horses died at the track all of last year. The root cause of the spike in deaths is still not known. The accident occurred in the feature race of the day, the Grade 3 $100,000 San Simeon Stakes, a 6 1/2-furlong turf race that starts at the top of a hillside and has a crossover point on dirt. 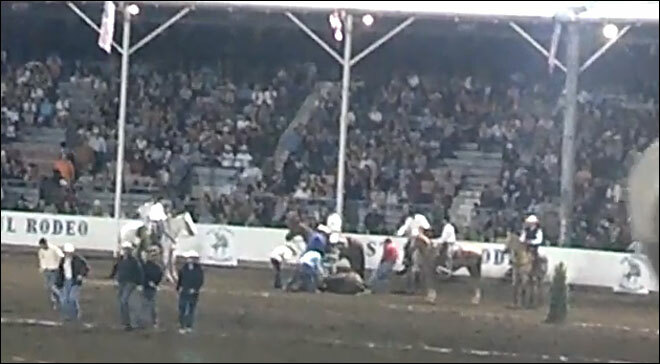 The spill happened just as the horses were about to re-enter the turf portion of the course. It appeared that Arms Runner injured his right front leg. Something is terribly terribly wrong. “The horses are being bred for more speed, less for maturity and letting the bones get stronger. Take x-rays from a horse 40 years ago and todays horses the bones are not as big or strong”. That is what is terribly wrong right there! Training an 18month old colt/filly & racing them at 2 is also part of it. Uninformed people have no conception of the fact that these are babies – no matter whether they weigh 1,000 lbs or more – THEY ARE BABIES! Add to that fact breeding back to the same lines over & over – no outreach for bigger boned, stronger horses – only speed, and of course, the money to be made. I wish the followers of racing would think back to Ruffian, Eight Belles, on & on & on! Tragedies that happened right in front of our eyes – over and over. Ruffian was the end point for me – then watching all these people crying & carrying on about how sad that was – but obviously going right back to the races afterward. 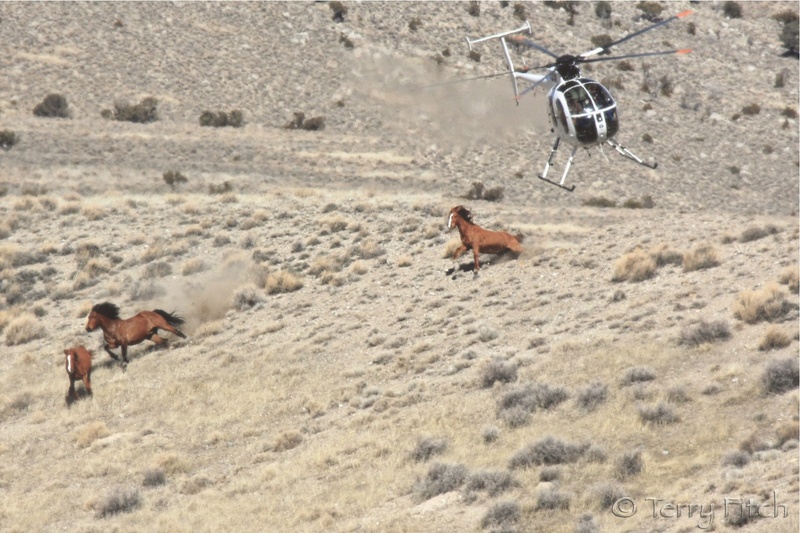 This so-called “sport” damages & KILLS horses even more efficiently than many of the other horse-related disciplines. Is that something to be proud of? Compare this with the national discussion over football concussions, which is leading to some changes in thinking and in the sport overall. Yet running these babies is like putting a 10 or 12 year old kid in NFL games. I also have to question why horse racing in Europe doesn’t seem to have the same incidence of injury and death. This latest Santa Anita injury/death was on the turf track which crosses a dirt section during the race, something common in the UK. Does anyone have a good comparison to post here of fatal injuries in the US vs UK racing industries? If so we might be able to compare ages and bloodlines as well. When spectators stop attending the races….and the betting is stopped..that’s what it’s going to take. Thats it Louie – that is exactly what it will take! When it doesnt bring in bucks – it will stop. 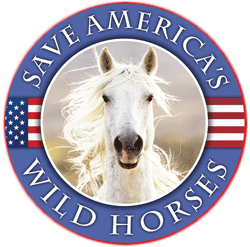 The scary thing is – if that were to happen we all know where all these horses would end up – where many of them already do. And, Icy – I’m just guessing here but I wonder if the UK thoroughbred breeding industry is possibly NOT focusing on speed alone. I’m curious – do they start young horses as early as we do here? I’m guessing they dont start steeple chasers at 18 months!!! Flat races – I have no idea. Agree with all comments but how do this number of deaths in that time span compare to other U.S. tracks? I would not put a horse of mine on that track. Here’s one site in the UK that has been tracking horse deaths related to racing since 2007, which as of the end of March 2019 tallied 1,885 over fifteen years. Comparing their statistics just with Santa Anita makes the US track look downright toxic. One should also keep in mind a lot of the UK races are over obstacles, on uneven ground, and generally much longer (some over 3 miles), though the website linked below thinks these fatality numbers are around 30% underestimated. It is damning the US loses so many on such manicured tracks and short distances despite the best nutritional and veterinary care possible. Just one track in the US (Monmouth Park) “experienced a rise in equine fatalities in 2018, with a total of 15 horses dying from racing-related injuries, either racing or training, according to a website that tracks equine fatalities throughout the industry. “Last week in U.S. Horseracing (not including training, not including harness). Forgot to add that in the US there are loosely organized “bush tracks” which do not show up on any data collection records, so the fatalities and injuries are surely higher than is being reported. I’ve seen some videos of mostly kids racing mostly quarter horses in apalling footing. Senator Feinstein has ordered a complete shutdown of Santa Anita!!! She stated that she is a lifelong horse lover, and is appalled by the deaths. 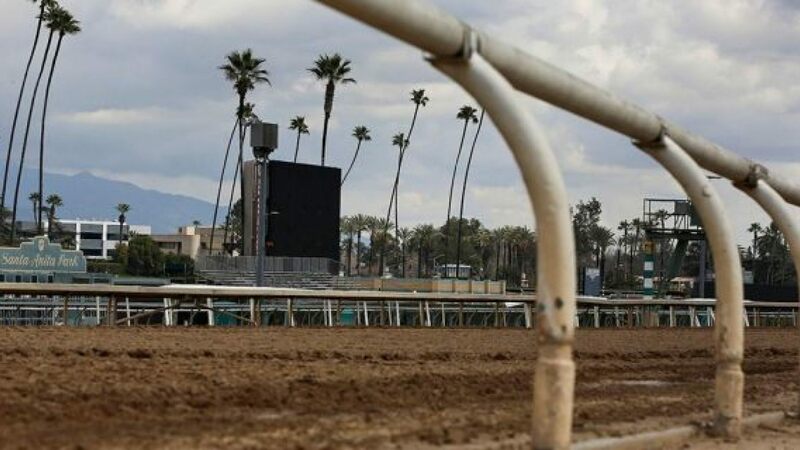 “In a letter to the California Horse Racing Board (CHRB) Tuesday, California Senator Dianne Feinstein called for racing to be suspended at Santa Anita until an investigation into the 23 horses that have died at the track since late December has been completed, according to the LA Times. The Stronach Group COO Tim Ritvo, however, told the TDN Tuesday afternoon that racing was running as scheduled this weekend. Racing is set to resume Thursday. The weekend’s card contains the $1 million GI Santa Anita Derby and the G1 Santa Anita “Big Cap” H., both of which were to be run in March, but were rescheduled due to a hiatus of racing of nearly a month at the facility while investigations into the track surface were conducted. The resumption of racing last weekend at the track was marred Sunday by the fatal injury sustained by the Peter Miller-trained Arms Runner. Well. Yes, and Santa Anita Derby is coming up, so they don’t care to recognize Sen Feinstein’s demands is the way of it. I am reminded now of her orders concerning the Devil’s Garden horses. However can’t she petition the Los Angeles DA to continue with a cease and desist or something? There are assuredly more lives at ‘stake’… did the DA not follow up on their big investigation?